Canadian so-called “conservatives” are an interesting lot. As some of you are aware, some Canadian Muslims finally took action after years of putting up with Mark Steyn‘s alarmist screeds about the Muslim terrorist horde at our gates. Three Muslim law students took MacLean’s magazine to task under the Ontario Human Rights Commission, claiming that Steyn’s collection of op-ed articles over the past few years have essentially fed hate against Muslims in Canada. There are a few points I’d like to make about this issue. First, it’s interesting that the right wing blogosphere –almost overnight!– chose to simultaneously slur the three students as “the sock puppet three.” Go ahead and google “Steyn” and “sock puppet” and see how many blog hits you get. It’s frightening how organized the extreme Right is in this country, as if they are one beast with a single hideous head, possibly buried in an oil field somewhere in Alberta. Second, it is no secret that I dislike Mr Steyn. I have written many times about his racist and inciting articles. The example I like to cite the most is when he wrote that the so-called Muslim world is “economically, militarily, scientifically and artistically irrelevant”. He has, since that particular article, written much more inflammatory stuff. Having said that, Steyn is correct in that the most radical wing of Islam appears to be that which shouts the loudest, while the moderate majority remains unheard. Steyn says this in interviews, but not in his writing, in which he typically chooses to highlight and draw further attention to the most obscure and inflammatory of Jihadist quotations, essentially fueling the impression that the extremists are the majority. It’s this disconnect between what he purports to believe (according to his interviews) and what he actually writes that, I fear, may be at the heart of people’s confusion over the matter: Steyn can rally the racist mob with one side of his mouth, while miming the reasonable and moderate citizen with the other. Third, I am on record of being opposed to so-called “hate laws”, like that under which the human rights charge is being made against MacLean’s magazine. So long as one does not lie, and one can find a platform, one should not be criminalized for speaking one’s mind. However, while hate laws still exist, I believe Mark Steyn and MacLean’s magazine are guilty of having violated those laws, or at least the spirit and/or principle of those laws. They have done so by deliberately and consistently drawing attention to the most extreme statements spoken by extreme and often obscure Muslims, while systematically ignoring the truth of millions of well-assimilated and peaceful Muslims living in our midst. Should Steyn’s and Maclean’s action be criminalized? Of course not; but anyone with a brain can see that Steyn/MacLean’s have a political agenda that is not balanced and that is quite xenophobic. Any honourable writer would admit to his agenda, rather than wrapping himself in the flag of the holy defender of free speech. Steyn and the Muslim law students appeared on TVO‘s The Agenda last night, and I was sickened by what I saw. It’s the first time I’ve seen host Steve Paikin behave biasedly toward one guest (Steyn) on a matter of great contention. Paikin interrupted the law students frequently and challenged their points in a disruptive fashion, while allowing Steyn to pontificate for minutes on end. Paikin also took it upon himself to defend Steyn’s position several times. And before you think Steyn was ganged up on by three fit young people (as Steyn claimed on the show), check out Steyn’s own blog post to read his macho pre-match posturing. Moreover, Paikin kept trying to introduce idiotic themes, like “are we not allowed to offend in Canada?”, while the students’ case was far more subtle, to wit that styles of writing are inciting of hate, not just offense. I was offended by Paikin’s seemingly intentional dunce act. In Paikin’s defence, I guess he was off his A-game due to having to referee a tense shouting match. But back to the matter at hand. 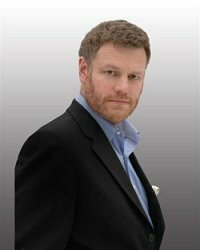 I find it hard to interpret Mark Steyn’s writings in any other way than the following: that he believes Jihadist tendencies are prevalent across all communities of Muslims everywhere in the world; that he believes that the core beliefs of the Muslim people are anathema to what he perceives to be the values of his Canada; and that he believes that by virtue of differential breeding rates, Muslims are displacing what he believes to be proper Westerners, and are thus introducing “backward” and Jihadist tendencies into Western society, to an extent sufficient to sound the death knell of Western civilization. If those are indeed Mark Steyn’s beliefs, then he is entitled to them, and he is entitled to write about them. However, his confrontational and bitter writing style broadcasts the message that Muslims are banging down our doors with bombs strapped to their chests and iron burqas ready and fitted for our women. We communicate via style and tone, as well as via the specific meaning of the words we choose. It is disingenuous for a professional writer to claim otherwise. As I’ve noted on this blog many times, there is a vile tendency among the Canadian Right, as can be seen daily on the Western Standard blogs, to vilify non-Whites and to call for obscene and criminal things to be done to them. In those instances, Steyn’s writing if often cited as source material to fuel the rage. So Mark Steyn is free to write what he wants, but an ethical man and an ethical publisher would realize that there are foreseeable negative consequences to the words they print, and that they are thus ethically responsible for those consequences. I think this is accurate. But rather than seeing this truth as indication of an oversensitive and irrational community who just can’t handle a bit of criticism, how about we take a step back and recognize that while Western societies perceive themselves to be under physical attack by some elements of extreme Islam, all Muslims living in the West are under attack 24 hours a day, in the form of racism, both subtle and overt, and in the form of an increasingly hostile and ubiquitous mainstream media that revels in publishing the works of Mark Steyn and in portraying their ancient and accomplished civilization as unsophisticated and irrational. Faced with such an unceasing and encircling assault, anyone with a sense of honour would choose to focus more on defending his community from the insults and mis-characterizations of outsiders, rather than from the misappropriations of one’s own internal, radical fringe. And with that, the case against Steyn, MacLean’s and their supporters gains clarity: apparently they believe that Muslim=terrorist. And if I may offer a stretch, perhaps they also believe that non-White=terrorist. Good grief.